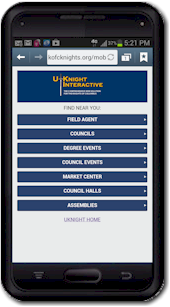 Line to the KC AGH Chapter website, Information of upcoming degrees and events. 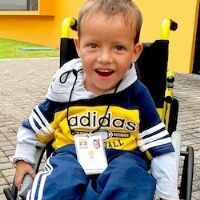 Since 2003, the Knights of Columbus has funded the delivery of tens of thousands of wheelchairs around the world, and right here at home. Thousands of veterans and their families across the United States in need of wheelchairs have received new mobility, and honor the Knights with their thanks and prayers. The Hike has been going on since October 1973. It is Texas' oldest Pro Life event. Its mission is to raise funds for crisis pregnancy centers in the areas where the Hikes are held, and seeks to raise awareness that these Crisis Centers need our support both financially and prayerfully. Back in the 70's it was a Knights of Columbus Council event having been started by a group of Knights in Garland who were tired of hearing all the positive attention that legalized abortion was getting in the media. They decided to have a mass rally to show that abortion was not the correct "choice" and that there were loving options for moms who found themselves in "Crisis Pregnancy". Headed up by Chuck Schumacher, Ed Hubbuch, and several other dedicated Knights, the Hike for Life became "the" Pro Life event" in the Dallas area. It has continued each year since 1973 and is now known as "Texas' oldest Pro Life event".